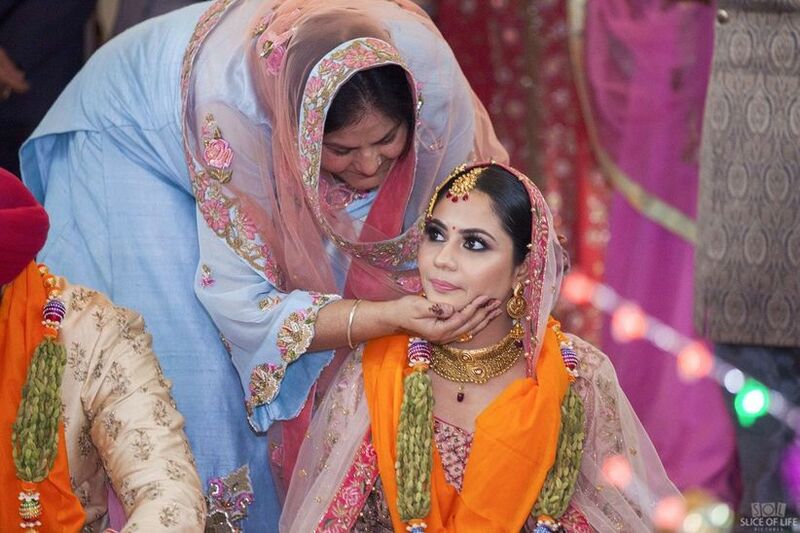 The Real Meaning of Anand Karaj: A Listicle of Sikh Wedding Ceremonies | Wedding Tips ARE YOU A VENDOR? 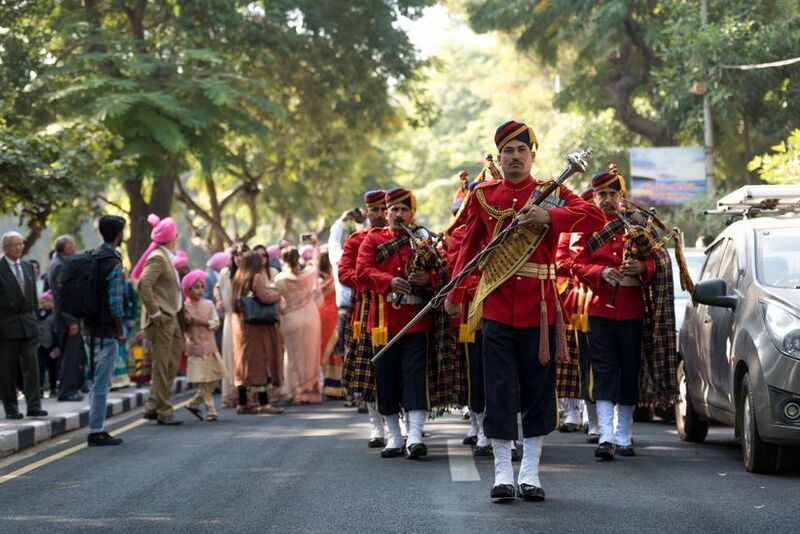 Sonam Kapoor's Anand Karaj brought the Sikh wedding ceremony back in public space, with many eager for details, so that they could work on their own authentic ceremony. That's the piece we explore here - keep scrolling for more. Anand Karaj is the religious name for a Sikh Wedding ceremony. It is considered one of the purest, graceful and tranquil experiences, held under the pristine white dome and in the presence of the holy book, ‘The Guru Granth Sahib Ji’. 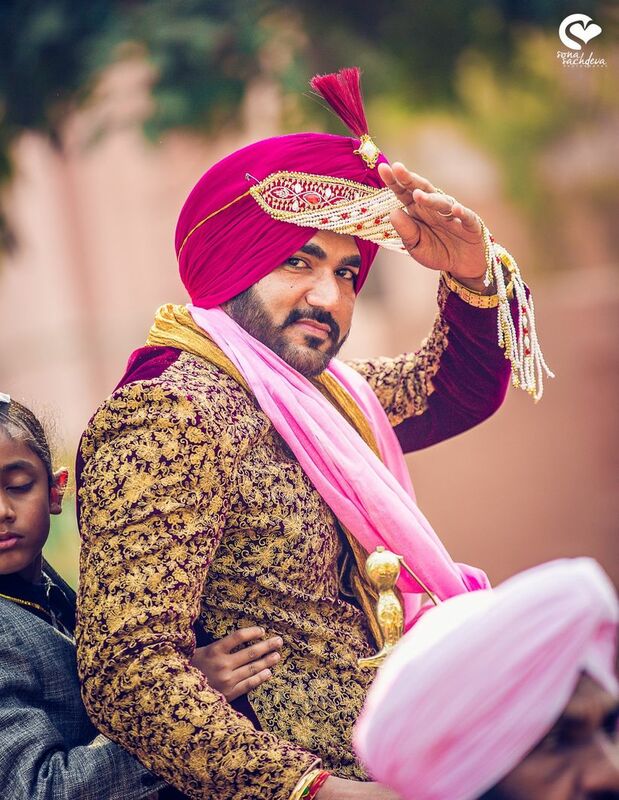 Like any other traditional Indian wedding ceremony, Anand Karaj also has Pheras (called Laavan or Laavan Phere) to solemnise the wedding. 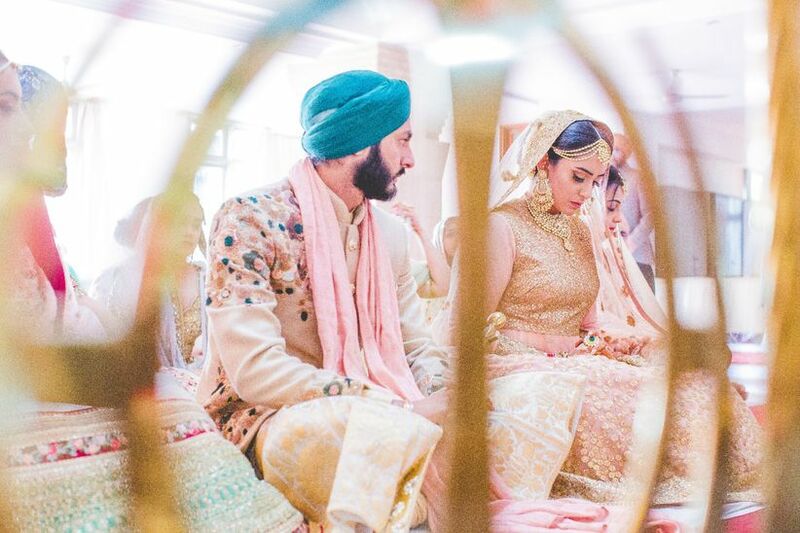 A joyful union of two souls, a Sikh wedding ceremony usually spans across a few days. 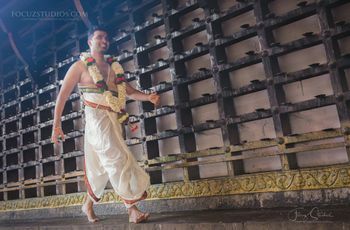 The pre and post-wedding ceremonies include a mixture of rituals. Let us learn in detail about each of these ceremonies. Whether it’s a love marriage or an arranged one, both the parents of the bride and groom must give their blessings for this sacred union. This ceremony marks the onset of the wedding preparations that follow suit. When the bride’s family gives the groom some gifts and sweets, the ceremony is called Roka. When the groom’s family gifts something to the bride, it is known as Thaka. The traditional name for the formal engagement ceremony is Kurmai. Before the engagement formalities begin, the priest offers a short prayer, also known as Ardas. During the engagement ceremony, the couple exchange rings. 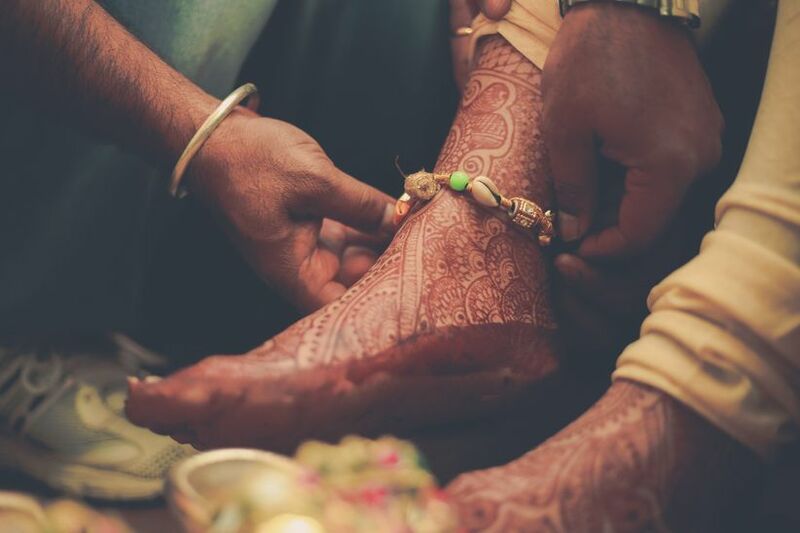 The bride’s family gifts the groom a Kada and a Kripan - both of which are an important part of the Sikh heritage. The families also exchange gifts like sweets, clothes, coconut, dry fruits and jewellery. Prior to the Anand Karaj, the bride and groom’s families feel it is a good omen to host a Kirtan at their residence. Experienced musicians of the local Gurudwara sing ‘Gurbani’. The entire atmosphere is extremely tranquil and serene. A few days before the wedding, the family of the bride and groom apply turmeric paste on their face and body. The thought behind this ceremony is that the skin of the bride and groom should shine on their wedding day. During this ceremony, ladies of the house sing traditional songs. The Haldi ceremony takes place at the homes for the bride and groom. A corresponding Mehndi ceremony also takes place during the same time. 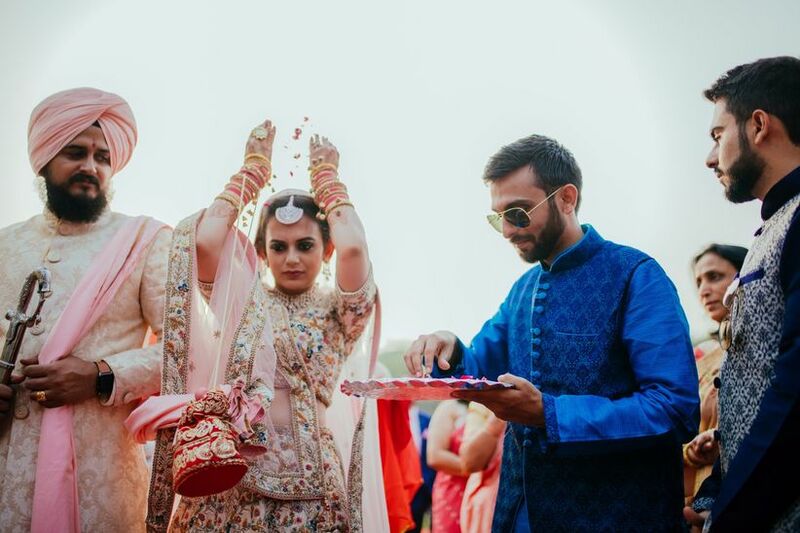 In this traditional ceremony, a red thread (Gaana) is tied on the groom’s right wrist, and the bride’s left wrist (or foot - a new, creative go-around). It is believed that the Gaana will protect them from all evil eyes. After this, the groom’s sister-in-law (bhabhi) visits a Gurudwara close by to fill a utensil called Ghadoli with holy water. This water is then used to bathe the groom after their Haldi ceremony. The bridal Chura (set red bangles (Chura) are the first symbol of a newly married woman. The bride’s maternal uncle is the one who gifts these bangles to the bride. After the Chura ceremony, the bride’s sisters and bridesmaids tie Kalire to the Chura, which symbolises prosperity and happiness. 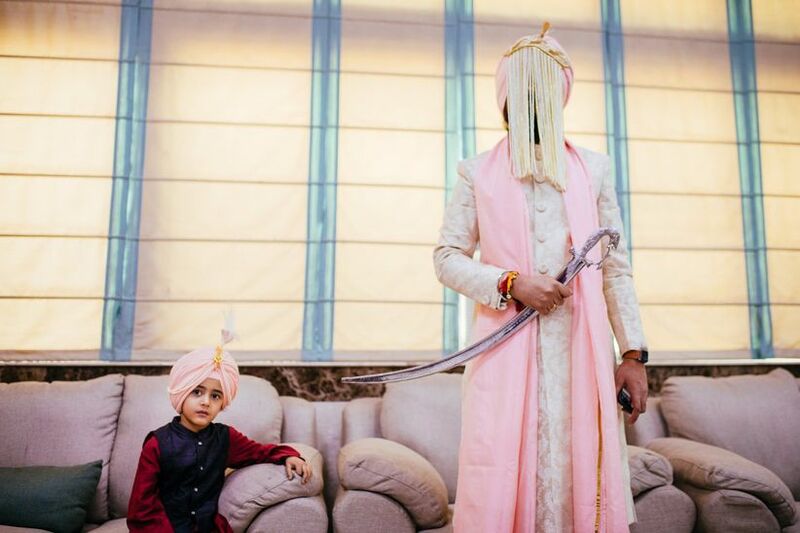 The morning of the wedding, the groom’s father ties a turban to his son’s head right before they depart from home. He is then handed over a replica of a sword that he has to carry throughout the wedding. The groom’s sister then ties a Sehra (which is usually made of pearls or ribbons) around the turban that is covering the face. Just before groom is leaving for his wedding, his bhabhi applies surma/kajal to his eyes, which is a symbolic gesture to fight off any negative energy. 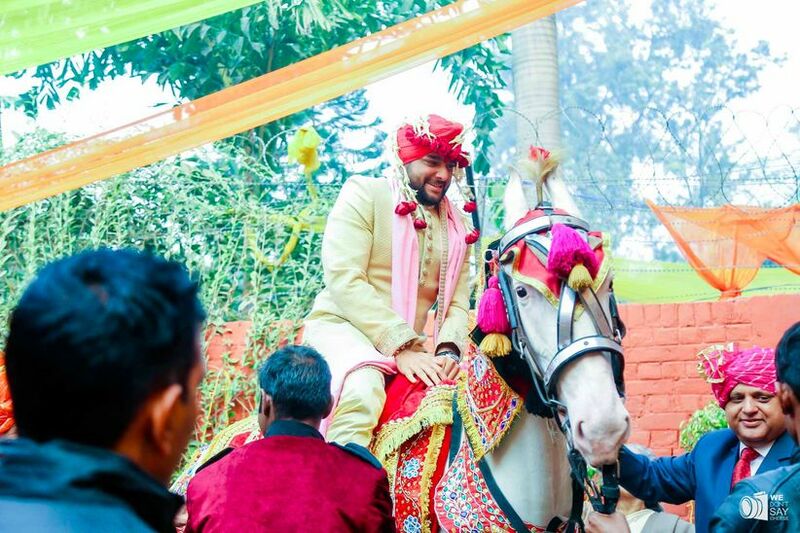 According to traditions, the groom travels to the wedding venue on a Ghodi (female horse). All the groom’s family and friends accompany him to the venue. That procession, also known as Baraat, includes a lot of dance and dhol. Once the Baraat reaches the venue, the bride’s family welcomes them at the gate. 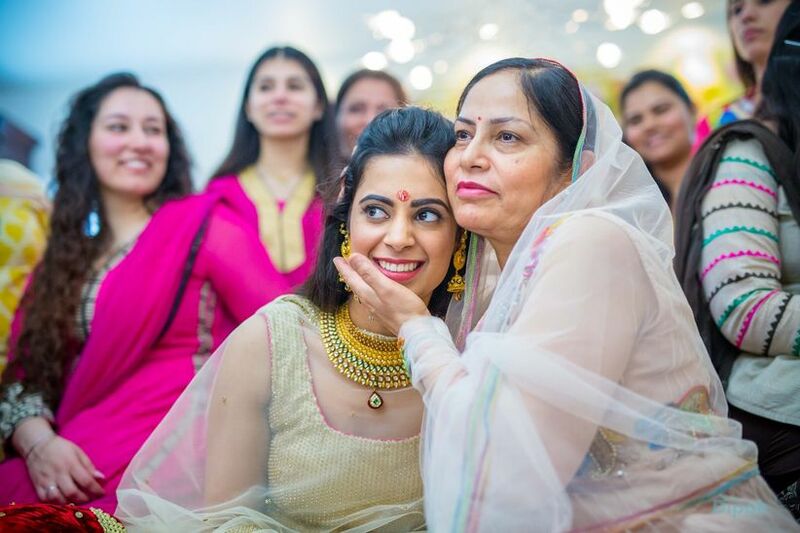 Each family member of the Baraat is then introduced and the bride’s family gifts them a garland along with a hug. After a long list of pre-wedding rituals, the bride and groom finally get married in a traditional Sikh wedding. 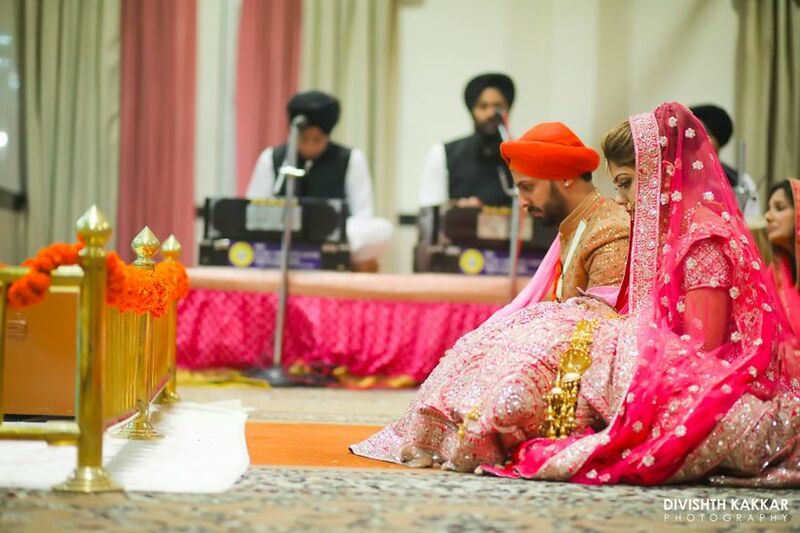 The holy book Guru Granth Sahib Ji is respectfully placed at the wedding venue (Gurudwara or any other place) and the wedding ceremony takes place around it. Anand Karaj comprises of four pheras called Laavan, which are then followed by kirtan and ardas. After the Lavaan Pheras, the bride changes into the outfit and jewellery that is gifted to her by her inlaws. After this the elders bless the bride with shagun and gifts. 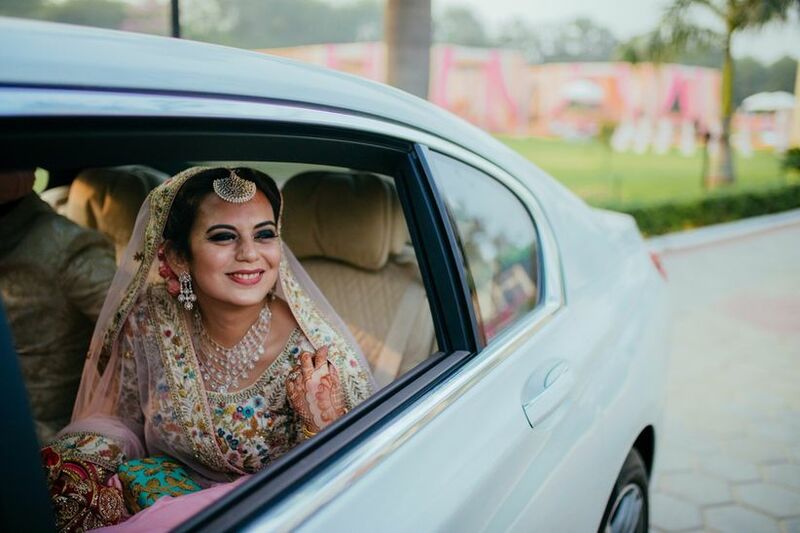 Traditionally, the bride would leave her parent’s house after sitting in a wooden palanquin, also known as a Doli. 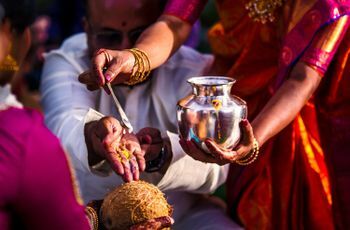 The bride throws puffed rice grains over her shoulders, praying that after she leaves her paternal home always prospers. The bride then gets into a nicely decorated car with her husband and drives to her new home. Once the bride reaches her new home, she’s given a warm welcome by her new family. Anand Karaj is a beautiful amalgamation of love, life and passion. A ceremony that takes place during the day amidst the company of loving friends and family in the presence of the Almighty. Anand Karaj as a means of getting married is now culture and tradition that even the non-Sikh couples are opting for. 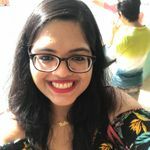 For couples who want to get married during the day with only a few close relatives and friends, find this traditional form of getting married more feasible and closer to their personal liking. All one really needs to have an Anand Karaj is the permission from a Gurudwara as that is where the ceremony takes places and you're good to go. 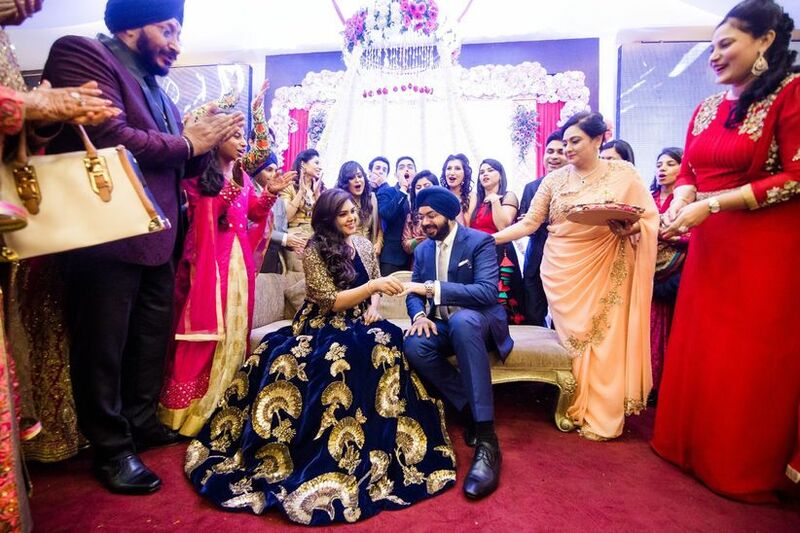 Normally, followed by a lavish lunch to celebrate the festivities the Anand Karaj way is the new road the millennial couples are traversing on! While Anand Karaj is a blissful union of two souls, if you feel we have missed out on an important ritual, please leave a comment below. 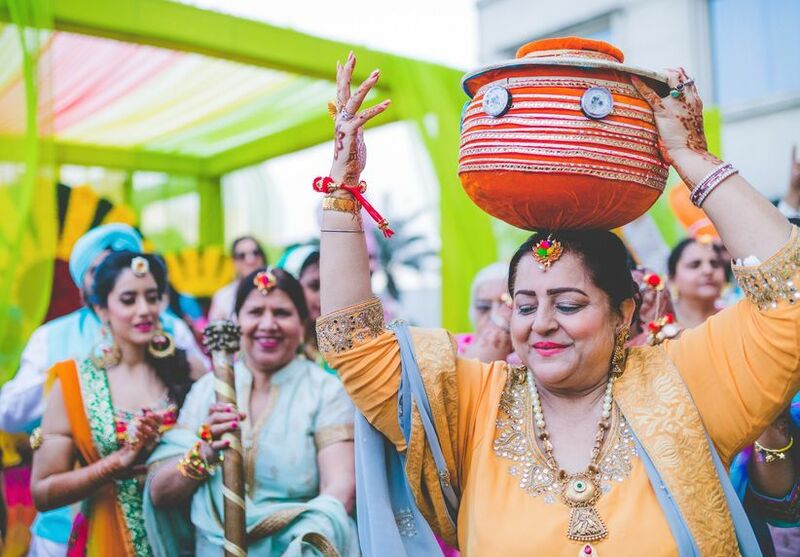 We also recommend reading the larger set of Punjabi wedding traditions. Find your perfect bridal outfit from a vendor near you.